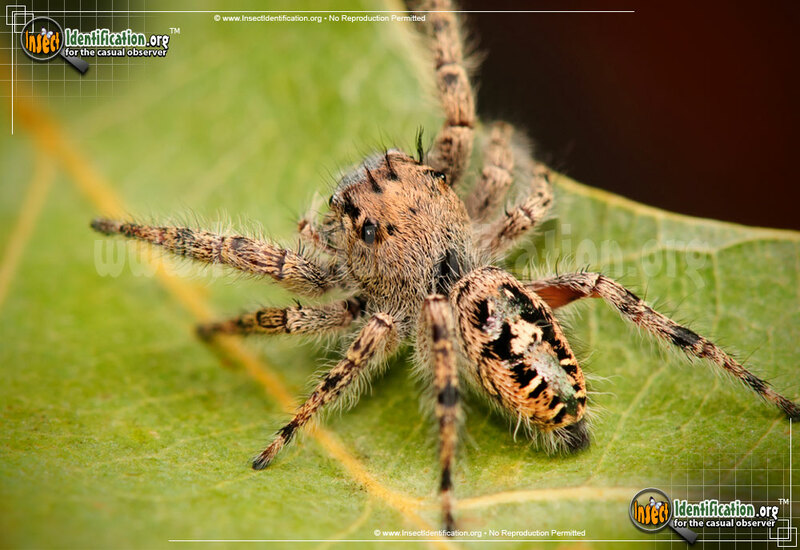 Detailing the physical features, habits, territorial reach and other identifying qualities of the Putnam Jumping Spider. 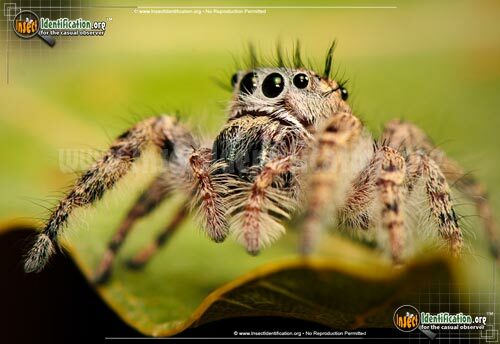 The hairy and inquisitive Putnam Jumping Spider reciprocates curiosity when it comes face to face with a human. This spider is a member of the family Saliticidae. 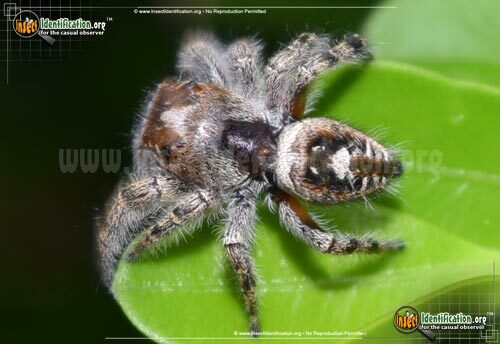 Salticidae is comprised of jumping spiders that can leap four to five times their own body length from a stationary position. This speceis is hairy and has four black tufts of hair above its eyes with a few more of the sides of the head. These tufts and very furry chelicera give the Putnam Jumping Spider an expressive face. Given that it has excellent vision, it might not seem silly to think it can ponder like people. This species is an ambush predator. It spins a silken retreat for itself, usually inside curled up leaves, but it does not spin a web for trapping prey. Instead, it is an active hunter, roaming an area until it finds a worthy meal. It jumps toward the insect, shooting a single line of silk at it to prevent the bug from escaping. Once on top of the prey, the spider bites it, paralyzing it, and then drags it back to the retreat where the spider consumes its meal. Putnam Jumping Spiders are outdoorsy and can be found in a variety of habitats: forests, open fields, parks, gardens, and parking lots. Sometimes they wander inside homes or buildings, but they can be coaxed back outside with a little effort. They are not considered dangerous. 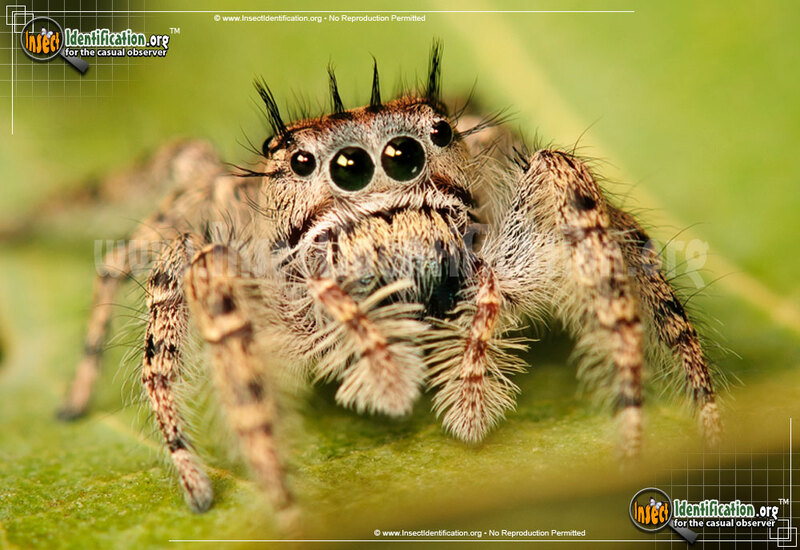 Putnam Jumping Spiders are curious and, thanks to keen eyesight, they tend to investigate the people watching them. They may even get closer by pouncing toward an observer, startling with their quick movements. This allows for some great opportunities to photograph them up close and study their countenance.